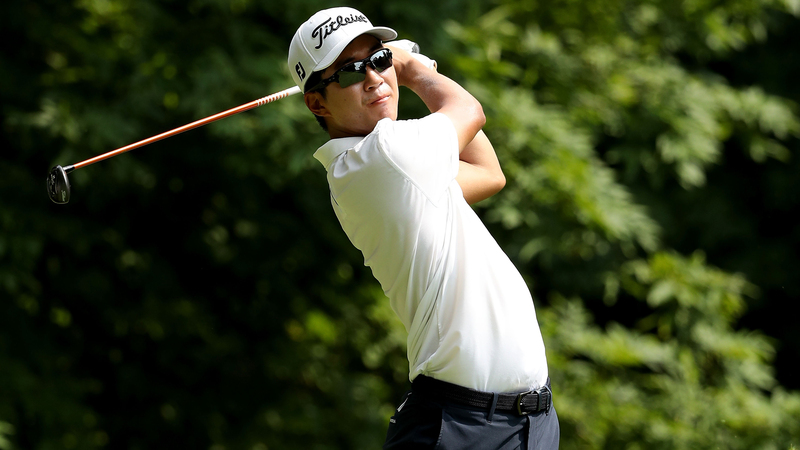 Michael Kim retained control of the rain-hit John Deere Classic after carding a 7-under 64 in the third round Saturday. The American moved into 22 under at TPC Deere Run, where play was suspended numerous times due to inclement weather. But Kim managed to remain in charge as the 25-year-old looks for his first win on the PGA Tour. Kim mixed three birdies with a bogey on the front nine before finishing strongly, picking up five shots on his final six holes. [email protected]_Kim714 is on another level. He’s seeking his first PGA TOUR victory. Bronson Burgoon (66) is his nearest challenger in outright second at 17 under. Australian Matt Jones (66) is third, a shot ahead of Harold Varner III, who is coming off a tie for fifth at A Military Tribute at The Greenbrier. Andres Romero (64) and Sam Ryder (67) are tied for fifth at 14 under, but appear too far back to challenge.